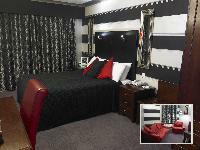 4 star inn offering 15 en-suite bedrooms, lunch and dinner served in both the restaurant and courtyard. Daily changing Special's Board and lunchtimes lighterbites menu. Black Sheep, Timothy Taylors and guest cask ales. Breakfast and Dinner Awards, Cask Marque accredited. Coaches by appointment only. Disabled access : Some ground floor bedrooms including one with walk-in shower, and no steps to restaurant and bar from our own car park. Disabled toilet. Large print menu available. Opening Times : Morning coffee from 0730, lunch 1200-1400, and dinner 1800-2030. 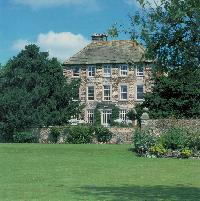 Admission Prices : Accommodation BB - single from £70.00, double/twin from £79.00. Food - starters £5.60 - £8.50, main courses £11.00 - £19.00, desserts £5.50 - £7.50. Smaller portions of some dishes available.